Johnnie Morrison, age 81, of Harahan, LA, passed away on April 7, 2019. Johnnie was born on February 13, 1938 to parents, John and Grace Webb. She will be remembered for being a loving wife, mother, grandmother and aunt. Johnnie is predeceased by her husband, William Morrison, her parents and three siblings. She is survived by her three children, Jerry (Audrey), Mark (Wendy) and Stacy (Bryan) Centanni; six grandchildren, Mitch, Marcelle, Zachary, Sarah, Anthony, and Grace; one great-grandchild and several nieces and nephews. Johnnie attended Louisiana Tech and LSU, where she earned a Master’s Degree in social work. Johnnie was an original Board Member of Riverside Country Club where she played tennis and worked for many years. 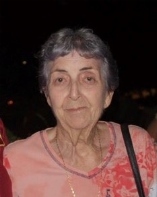 She was an active member of St. Paul United Methodist Church in Harahan and an avid gardener. Friends, family and supporters of Johnnie at Riverside Country Club are welcome to attend a Memorial Gathering taking place on Monday April 15, 2019 from 10:00am-12:00 pm at Tharp-Sontheimer-Tharp Funeral Home, 1600 N. Causeway Blvd., Metairie, LA 70001. A short Service will be conducted at Noon.